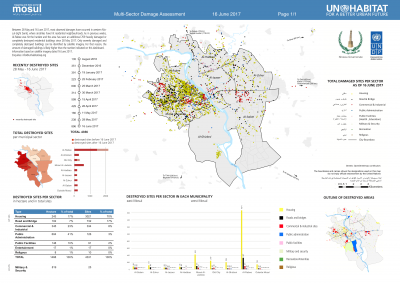 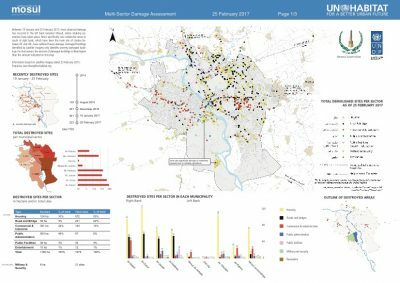 UN-HABITAT carries out bi-weekly damage assessments with help of satellite imagery. 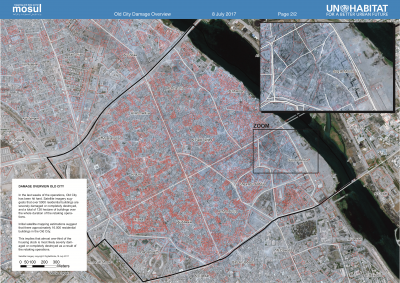 Only severely damaged and completely destroyed buildings can be identified with satellite imagery. For that reason, the amount of damaged buildings is likely higher than the amount indicated on this dashboard.